Packed full of useful features, this comprehensive application will give your company the tools it needs to be successful. Our easy to navigate grid layouts are customizable and contain filter options to help you narrow down searches. 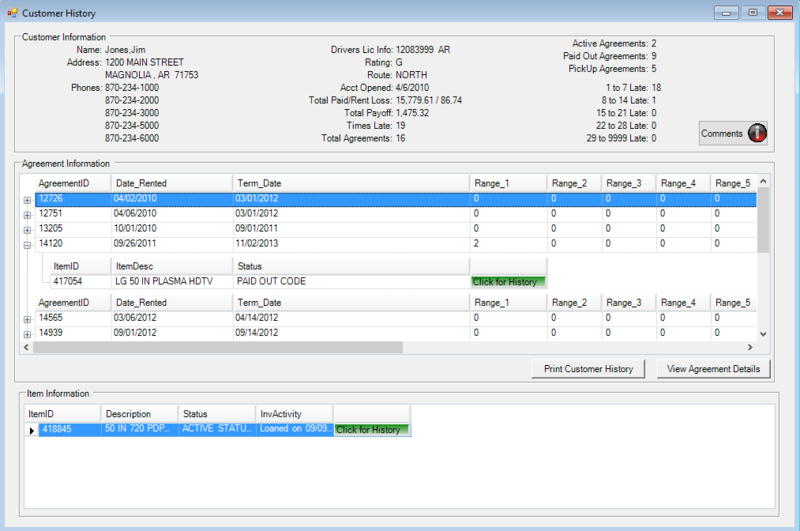 The RAM System keeps all historical customer and inventory information, giving you the ability to quickly research individual customer accounts and item history. 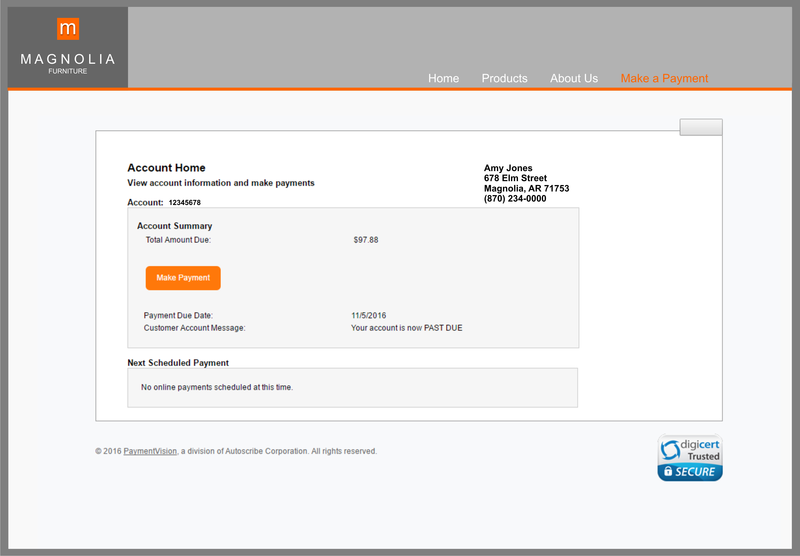 Give your customers the flexibility of making their payments anytime, form any device. Our fully integrated credit card processing system includes in-store payments, automatic recurring charges, and online payments. 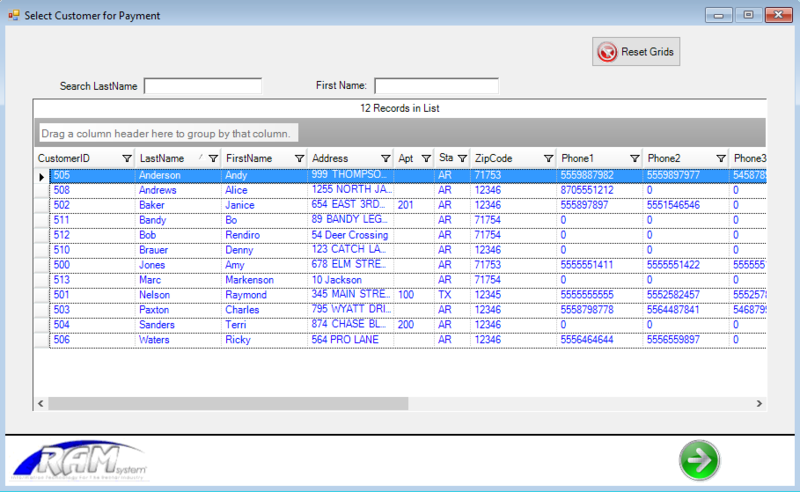 Our on-screen collections system is a powerful tool for your account managers. 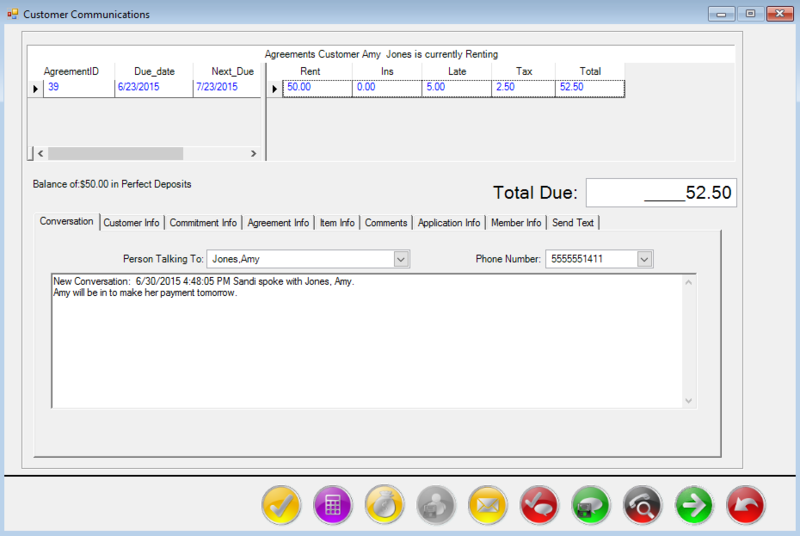 It allows them to track conversation detail and manage payment commitments. 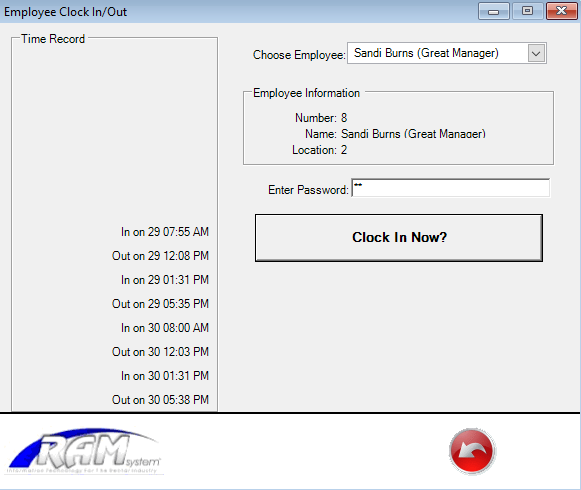 Our built-in time clock tracks employee time and provides the associated reporting that is necessary for payroll processing. 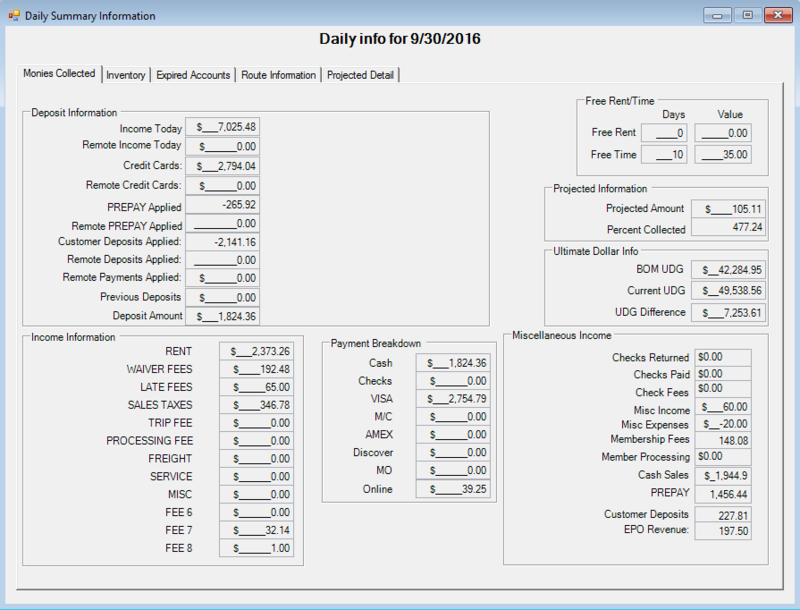 The real-time summary screen gives you quick access to important daily statistics. Revenue, inventory movement, and expired account info. © 1985-2019 Rental Information Systems, Inc.